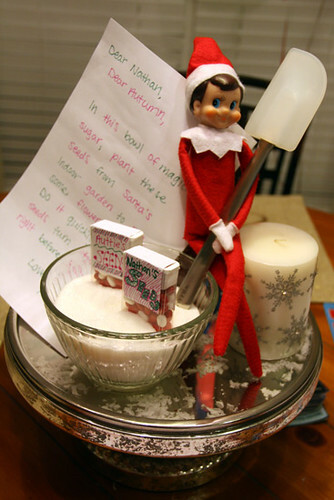 On Sunday morning, the kids woke up to find Elfie with a big bowl of white sugar, and some packets of seeds. Nathan read Elfie’s letter (which was in my handwriting, and he had no clue!! hee!) 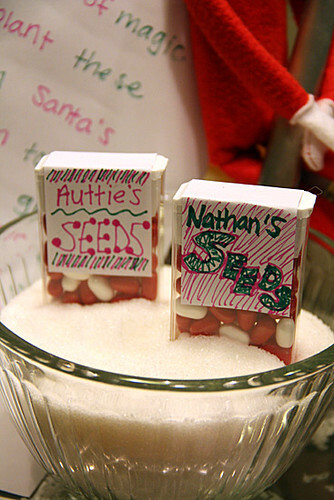 that these magic seeds were from Santa’s indoor garden in the North Pole and if they planted them, flowers would pop up! Aren’t I an excellent seed packet designer? The kids did NOT like the taste of the seeds (tic tacs)… actually, nor did I. They were quite strong! I’ll stick to the Orange tic tacs that I prefer! 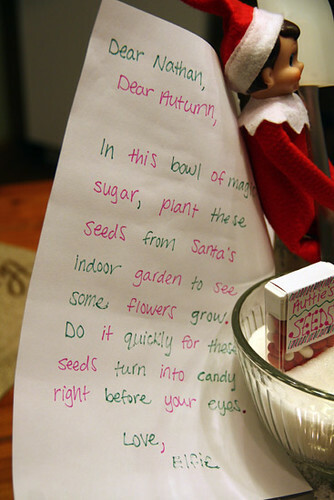 Elfie did not disappoint… the next morning the seeds had grown into ‘cookie’ flowers! 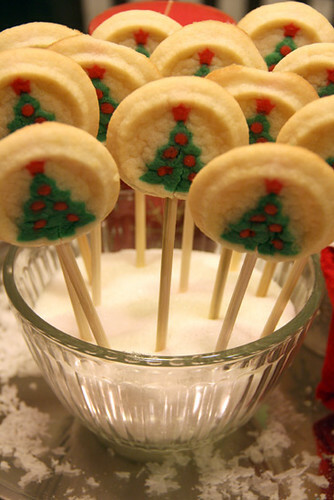 Autumn squealed for delight when she spotted the flower cookies on the table, and Nathan started jumping up and down. It was so fun to give them a little thrill to their morning before school. 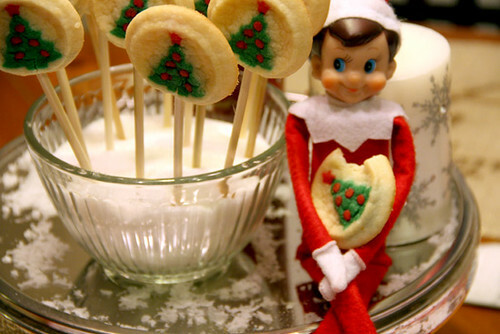 Elfie even enjoyed one of the cookies. 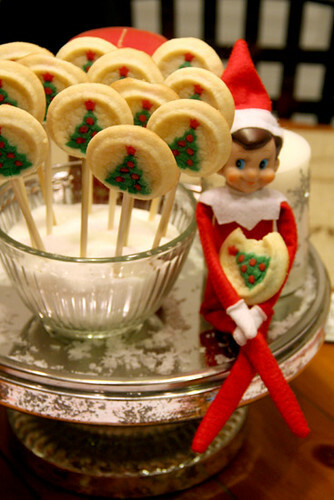 Brian thinks that is a HUGE bite for a little Elf… ha! I will try not to bore everyone with Elfie posts everyday, but I thought this was a fun one to share!